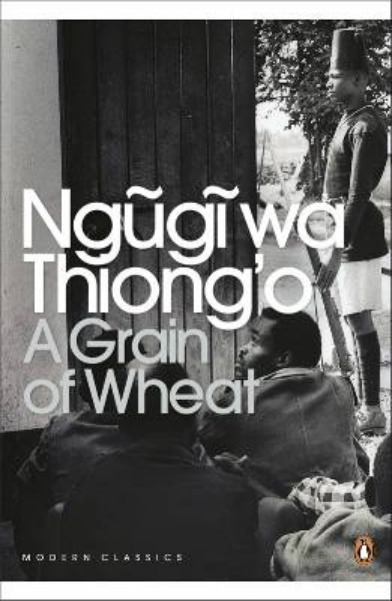 Ngũgĩ wa Thiong’o’s A Grain of Wheat, set in the days leading up to Kenya’s independence, depicts a cast of characters whose lives are unavoidably impacted by the struggle for independence. As A Grain of Wheat was first published only four years after the independence, it is important to acknowledge how contemporary this book is to that history. Furthermore, wa Thiong’o himself, who had a brother in the Mau Mau, experienced the path to independence in ways similar to some of his characters. The book is powerful in and of itself but knowing these facts makes us understand how close the author was to what he writes about and how significant and relevant this novel is. Wa Thiong’o uses a large cast of characters, weaving together their intricate stories which all show some form of courage and weakness. As their experiences are revealed, it becomes apparent that even the people thought to be the most virtuous, executed some form of betrayal. The beauty of the book however, is that as the story progresses, we begin to be less critical of the characters for these betrayals, and start to understand them. wa Thiong’o reveals the flaws of those we most want to believe are fully righteous, and the humanity of those we most want to revile. He blurs the line between “good” and “bad” and allows us comprehend the mistakes and unlikable decisions the characters make for their sakes and for the sake of their cause. Through these characters we ultimately learn that independence was not just the violent, turbulent time we read in history books, but was a human fight, as internal as it was external. The characters grapple so fiercely with themselves because they have been severely tainted by their circumstance, and have internalized it such that there is no real separation between their personal and political lives. “It is not politics…it is life. Is he a man who lets another take away his land and freedom? Has a slave life?” (112). In A Grain of Wheat, wa Thiong’o ultimately breathes life into the path to Uhuru, a path that is real and complex and reflective of innate humanity. When we see the personalities and pasts of the characters, we see the struggle and the triumph, and the struggle within the triumph during this pivotal time. A Grain of Wheat by Ngũgĩ wa Thiong’o. Liyou Mesfin Libsekal is an Ethiopian poet born in Addis Ababa, Ethiopia. She spent the majority of her childhood in different parts of East Africa. 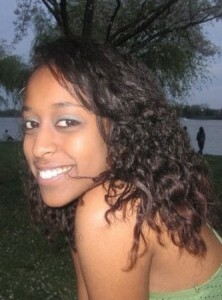 She earned a BA in Anthropology from the George Washington University in 2012; she now lives in her home country. She’s the winner of the 2014 Brunel University African Poetry Prize. Find more of her work here and on Facebook.